Raytown Fire Protection District strives to prevent fires and protect the citizens of Raytown. 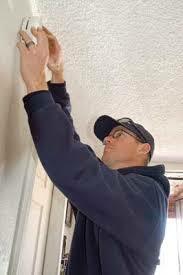 If you're a homeowner in Raytown and in need of smoke detectors, Raytown Fire crews will provide and install smoke detectors in your home free of charge. Please call (816) 737-6034 during the hours of 8am-5pm Monday thru Friday to make an appointment for smoke detector installation.